At Hy-Vee Hall for the Republican Party of Iowa’s Ronald Reagan Dinner featuring former Alaska Governor Sarah Palin. The event will start at 6:30p (CST), with Governor Palin expected to begin at approximately 7:00pm. You can follow the *exciting* live blog action right here. Update: No bombshell announcements, but I wasn’t expecting any. She did a great job at rallying the base. She touched on fiscal responsibility, Obamacare, the sanctity of life, and fiscal issues. She sounds like a potential candidate to me. Did a great job plugging the local candidates. I know some hoped that she’d touch on the marriage debate, but I didn’t expect that either. Over all a great speech! Anchorage, Alaska. September 17, 2010 — Two hundred and twenty-three years ago delegates from throughout the United States assembled in Philadelphia to sign a world-changing document. The Declaration of Independence was our nation’s founding charter, stating the purpose of the new nation and government—to secure our God-given rights to life, liberty, and the pursuit of happiness–and the Constitution was the means the Founders adopted to that end. We commemorate that important date each year on Constitution Day, September 17. In recent years, citizens all over the United States have recognized that our federal government needs to be brought back under control, and they’ve been making their voices heard in the public square and at the ballot box. The federal government has grown too big to the detriment of that power that should be reserved to the people and the states. If given the honor of being your next United States Senator, I will pledge to support and defend the Constitution, as I did two decades ago as a newly commissioned officer when I took the oath at West Point. As a former judge at the state and federal level, I also understand the importance of maintaining the rule of law, under the Constitution, in order to preserve our free society. I will work with other members of Congress to bring the federal government back within its bounds, so we can preserve the American dream for ourselves and future generations. May we all look back on September 17, 1787, with gratitude for the incredible gift of the Constitution and the principles of freedom it established and a form of government that is the envy of the world. Governor Palin spoke at two events in Kentucky on Thursday – at a private fundraiser for Rand Paul and then to a crowd of about 10,000 people at the National Quartet Convention across the street. Former Republican vice presidential candidate Sarah Palin brought her message of small government and large fundraising ability to Louisville on Thursday. Part of her visit included an appearance at the National Quartet Convention. The former Alaskan governor spoke for about 45 minutes at the convention at Freedom Hall on Thursday afternoon. The speech included her enthusiasm for national tea party candidates, Kentucky Senate candidate Rand Paul among them. The group focuses on gospel music and gave Palin the opportunity to talk about her faith in God. The audience gave Palin multiple standing ovations, especially as she talked about her faith journey. 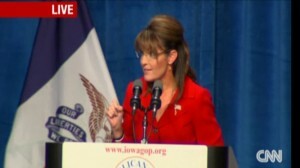 Earlier in the day, Palin appeared at a fundraiser for Paul at the Crowne Plaza Hotel. Organized labor staged a demonstration outside the hotel. Protesters carried signs in opposition to Palin and Paul. Former Jefferson County Republican Chairman Bill Stone said he attended the $2,400-a-plate luncheon with about 70 other people. Stone said Palin wowed that fundraiser crowd, which also included Kentucky Senate president David Williams. 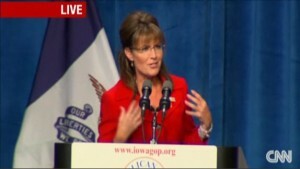 It was billed as a non-political speech, but former Alaska Governor Sarah Palin, the 2008 Republican Vice-Presidential nominee, rallied for Tea Party candidates in the 2010 mid-term elections during a speech before the National Quartet Convention in Louisville. Wearing a star spangled bracelet and her faith on her sleeve, Palin was literally preaching to the choir. “I put my life in God’s hands,” Palin said, describing her own faith, “You know we call it getting saved, becoming a Christian, becoming a believer. The media usually gets that all wrong and turns it into something that it’s not. 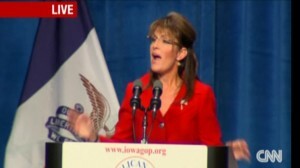 It’s just a sincere faith in Jesus Christ and I gave my life to the Lord at that time,” Palin said to cheers. Though Palin never addressed her own political future or plans to run for national office, she did address another pressing question — what does she think about her daughter, Bristol, competing on the television program, Dancing with the Stars? Palin described Bristol as a teenage pregnant mom who chose life, adding that her daughter told her “no matter what we do, we’re going to get criticized for it,” and Palin endorsed her decision to dance on the show, saying “Right on, Bristol! Palin called herself a “Pro-Life feminist,” saying that the moment in U.S. History she would have most liked to have witnessed is the Suffrage movement and women gaining the right to vote. “It’s as if God has been banished from the public square,” Palin said. As the crowd exited Freedom Hall, they said the enthusiasm Palin received is sincere. 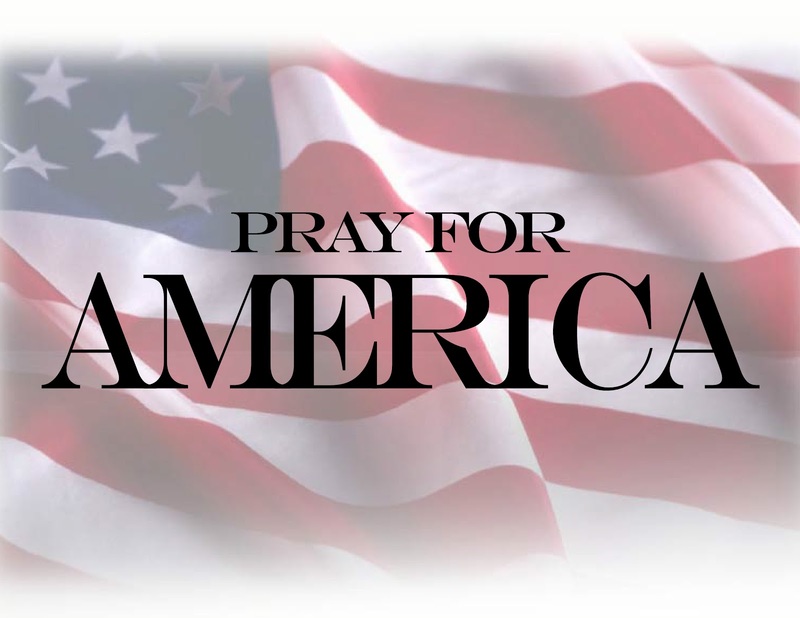 “United under God, believing in that hand of providence that has so blessed this country, that is why we are an exceptional nation, and it’s nothing to apologize for,” Palin said to a standing ovation. Sarah Palin on Thursday praised tea party-backed politicians for “shaking up the good old boys” with new faces and ideas that she said will help restore the nation’s prosperity. The 2008 Republican vice presidential candidate and former Alaska governor talked about her faith and motherhood, sprinkling in her conservative political views in a speech to an enthusiastic crowd of about 10,000 people at a gospel music convention in Louisville. Palin espoused her limited government beliefs – a common theme for tea party candidates running in GOP primaries across the country. Earlier this week, tea-party backed Christine O’Donnell pulled off a stunning win in the Delaware Republican Senate primary, defeating nine-term U.S. Rep. Mike Castle, who also was a former governor. “I was so thrilled with some of these upsets, these underdog candidates just in these last primaries who are showing the rest of the country – these tea-party Americans who are saying we just want our country to grow, thrive, to prosper. In her speech, Palin spoke confidently of the coming midterms, predicting that “we can take back the country.” Republicans are hoping to win the 40 seats they need to seize control of the U.S. House.